The auca is a literary genre of humble proportions, yet deeply rooted in Catalan popular culture. “We must find poetry that moves us, there in the most modest of things”, said Miró. 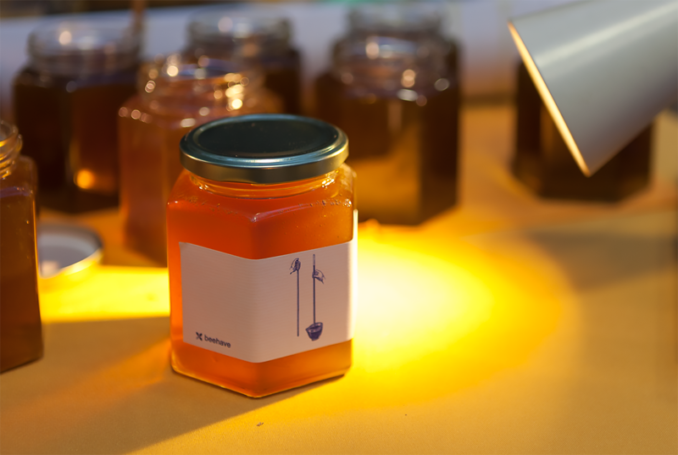 On the occasion of the project Beehave, and coinciding with the intervention La Grieta by Alfonso Borragán, Jordi Sunyer and Oriol Canosa have proposed The Ballad of El Clot de la Mel (‘Honey Hollow’), an auca with an informal tone that defends the importance of urban apiculture. 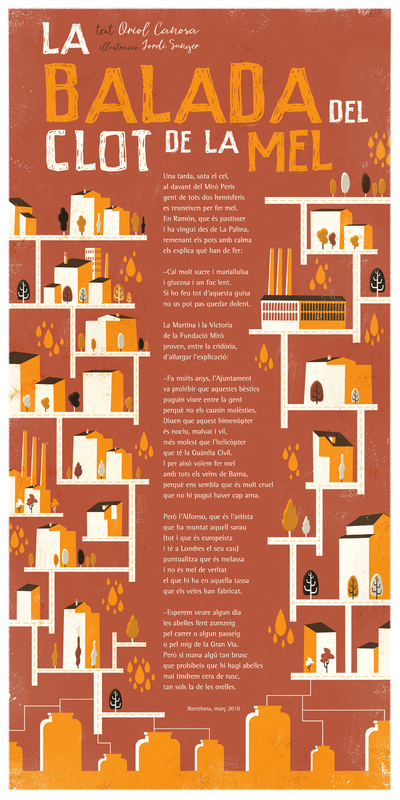 Jordi Sunyer (illustration) and Oriol Canosa (text) are creators working in the field of children’s literature. Together they have published La casa del professor Kürbis (Baula), Apa, et penses que ens ho creurem? (Cruïlla) and EicTu XicMano, el pirata del Delta (Pebre Negre). have gathered to make honey. it can’t possibly go wrong. so they wouldn’t be a bother. that they can’t keep any hives. and not real honey at all. or in the middle of the Gran Via. we’ll only have it in our ears.